Six strangers get more than they bargained for when invited to an elaborate escape room. A decade ago, the popular option for workplace team-building exercises was to go Paintballing, allowing Gary from Sales to exert his Alpha Male dominance over Barry from I.T. As companies now prefer less aggressive pursuits, Paintballing has been replaced by the 'Escape Room', in which participants are locked in until they can follow a series of clues and make their way out with brainpower, allowing Julie from Accounts to rub in just what a hare-brained bimbo Jenny from H.R. really is. Escape Rooms have become so popular that director Adam Robitel's Escape Room is the third movie to arrive in the last year carrying that exact title, though unlike its two straight to VOD rivals, this Escape Room has the might of a Hollywood studio behind it, though star-power is lacking. Said lack of star-power is generally a good idea in films of this nature, as it makes it harder for the audience to guess who the eventual survivors might be. Not so Escape Room, which lets us know off the bat which three of its six participants we should be paying attention to, and bizarrely, opens with a scene from the movie's climax. 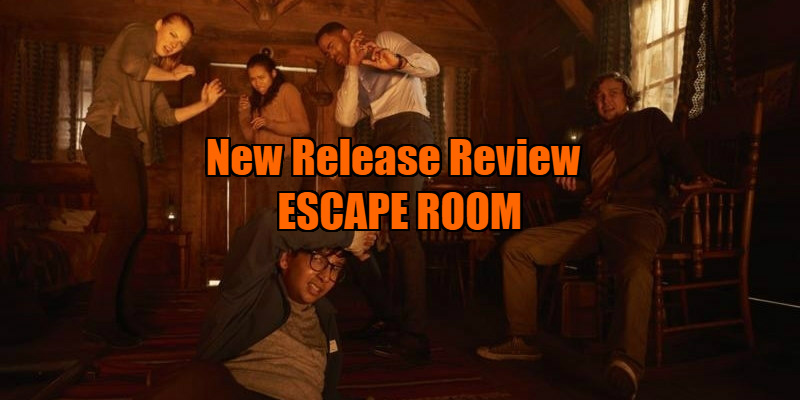 Chronically shy science nerd Zoey (Taylor Russell), alcoholic stockroom worker Ben (Logan Miller) and cocky stockbroker Jason (Jay Ellis) all receive a mysterious black box, which opens up like Hellraiser's 'Lament Configuration' to reveal an invite to participate in a newly opened Escape Room. At said facility they are joined by three other strangers - geeky Indian stereotype Danny (Nik Dodani), ice-cool ex-soldier Amanda (Deborah Ann Woll) and affable Southern schlub Mike (Tyler Labine). The sextet are surprised to learn that the room they believed was merely a reception is actually the first of several rooms they must find a way out of, and they're even more surprised to find that the consequences of not figuring out an escape early enough are fatal. To survive, the group must put their heads together and follow clues, which all seem to relate to some personal trauma they've individually experienced. If this all sounds familiar, you've probably seen one of the many instalments of the Saw franchise. Since the first sequel, that series has followed a template of trapping a group of strangers in some mysterious location and killing them off one by one as they attempt to escape. And just like Escape Room, the assembled victims are all haunted by incidents in their pasts, with the character deemed the most 'innocent' (the franchise's spin on the 'Final Girl' concept) being the one to make it out at the end. You can trace this premise back to Vincenzo Natali's cult 1997 sci-fi thriller Cube, and perhaps even further back to 1971's Willy Wonka and the Chocolate Factory, in which the recipients of golden tickets are picked off one by one during a tour of the eponymous facility, leaving only the morally upstanding Charlie intact by the end. The second Saw movie even borrowed Willy Wonka's idea of the evil mastermind handing over the keys to their kingdom to a young successor. So yes, we've been here before, many, many times. 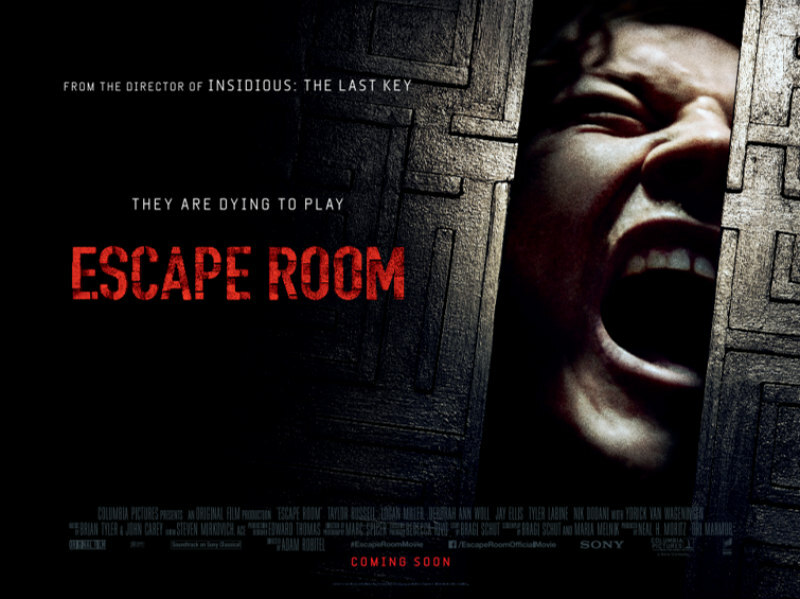 Does Escape Room add enough originality to this played out premise to justify its existence, and that of the franchise it so badly wants to spawn? Well, yes and no. The 'rooms' are quite inventive, boasting some clever production design, the highlight an upside down sports bar whose ceiling/floor gradually disappears as the potential escapees run out of time. But the characters we're stuck with are nothing more than a collection of thinly drawn archetypes, and with the film making it so obvious so early on who the ultimate survivors will be, it's difficult to invest in their peril. 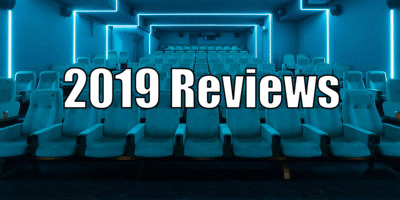 With the movie aimed at a teen audience, the deaths are bloodless and bland when they should be more along the lines of the extravagant demises of the Final Destination series. Ultimately, watching Escape Room isn't a whole lot different from watching a Saturday teatime game show. Incidentally, Escape Rooms where in the news recently for all the wrong reasons when five teenagers were burnt alive following a malfunction at a Polish facility. In an eerie coincidence, there's a scene early on in Escape Room in which a character picks up a newspaper, the front page headline reading "Five Burn Alive!" Spooky! Escape Room is in UK/ROI cinemas February 1st.